The Tarapur Atomic Power Station [TAPS] provides electric power, reprocesses spent fuel from Tarapur reactors and immobilizes the associated wastes. The Tarapur Station, a turnkey project set up in India by the General Electric Co. of USA, became operational in 1969. TAPS transformed the small sleepy town of Tarapur into a satellite industrial center of India's financial capital, Mumbai (formerly Bombay). TAPS has two units of 160 MWe each (present capacity) and provided Indian scientists and engineers experience in operating a nuclear power plant in local grid conditions. The US-built Tarapur facility, which played no role in India's 1974 underground explosion, was initially under international safeguards. Following the passage of the 1978 Nuclear Nonproliferation Act (NNPA) the United States terminated nuclear cooperation with India in 1980. 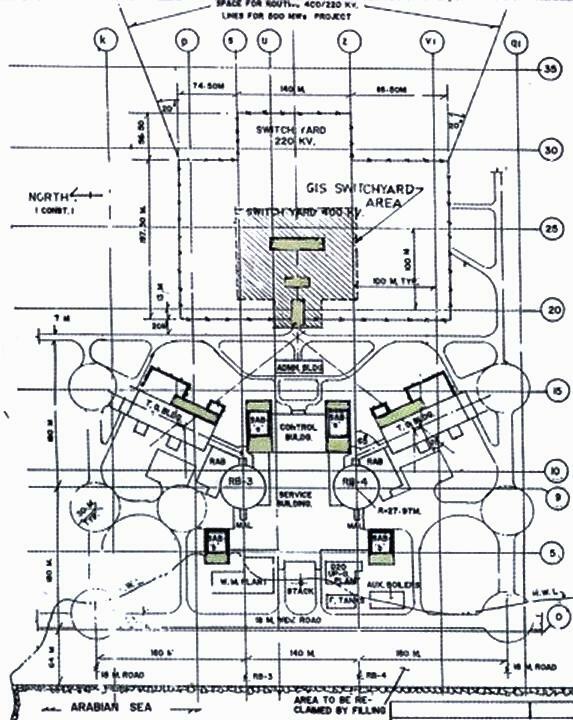 The NNPA required countries receiving US nuclear technology or materials to accept full scope safeguards, placing all of their facilities under international inspection. This action included termination of sales of fuel and spare parts for Tarapur. In order to gain India's commitment to maintain safeguards on the Tarapur reactors and spent fuel, the Reagan Administration concluded a tripartite agreement with India and France in 1983 under which France agreed to supply needed fuel and spare parts. In 1995 India announced that it was receiving low-enriched uranium from China for Tarapur under International Atomic Energy Agency (IAEA) safeguards. 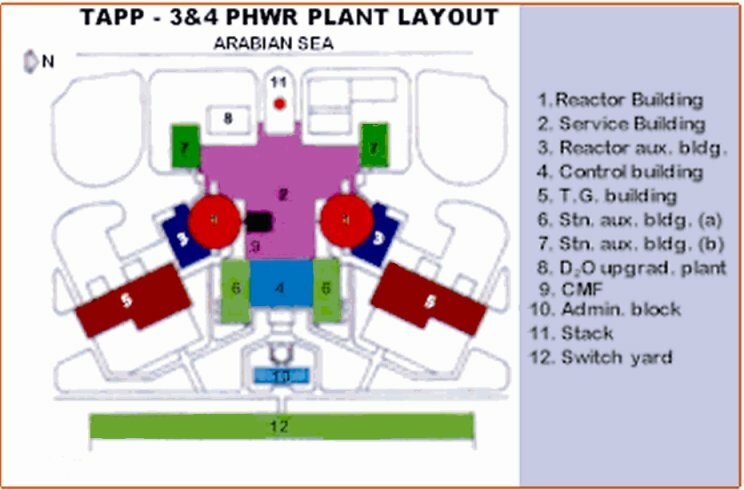 Plutonium for nuclear weapons, which is also the fuel for the second stage reactors of the Indian nuclear power program, is obtained from spent uranium fuel of Pressurized Heavy Water Reactors (PHWR). Fuel reprocessing aims at recovering the reusable fissile and fertile component of the spent fuel. Fuel reprocessing started in India at a time when it was regarded as an exclusively nuclear weapon related activity. Understandably, no collaboration was forthcoming in this field and so India had to develop this technology entirely by indigenous efforts. In India today there are three reprocessing plants to extract Plutonium from spent fuel, one at Trombay, the second at Tarapur and recently the third one was cold commissioned at Kalpakkam. It is understood that only the Trombay reprocessing facility is used to support the Indian nuclear weapons program, while the Tarapur facility is associated with the civilian nuclear power program. Reprocessing of spent fuel was started with the commissioning of a 30 tonne per annum plant at Trombay in 1964. Based on the experience gained at Trombay, a fuel reprocessing plant PREFRE was set up at at Tarapur, north of Bombay. In the early 1980s the Tarapur facility began processing fuel from the Cirus reactor, and safeguarded power reactors. And in late 1985 or early 1986 India began separating unsafeguarded plutonium from spent fuel from the Madras Atomic Power Station (MAPS). This reprocessing facility has experienced a variety of operational difficulties, and the amount and quality of plutonium suitable for weapons use is unknown. PREFRE (Fuel Reprocessing Plant) reprocesses natural and low-enriched UO2 fuels. The design is based on chop-leach head-end, PUREX flowsheet and contact maintenance, with a capacity of 150 tHM/a. Construction was completed in 1975, and hot operation began in December 1982. WIP (Waste Immobilization Plant) vitrifies Tarapur high level waste [HLW]. The design is based on a two-step calcination and melting in drainable pot. The facility's capacity is 25 liters/h HLLW, 125 kg glass/canister, 1 canister/d; product, borosilicate glass blocks. Construction was completed in 1981, with hot startup in 1990. SSSF (Solid Storage Surveillance Facility) provides air-cooled storage for WIP products. The design is based on stack-induced natural draft air cooling, with a capacity for 20 years' storage of vitrified HLW from Tarapur and Trombay. The facility was completed in 1990. Commencement of excavation work at Tarapur site on October 10, 1998 was the first major milestone in the construction of the 500 MWe third and fourth units at Tarapur. According to the existing schedule, unit-4 is expected to be commissioned in October 2005 followed by the third unit in July 2006. The Tarapur Atomic Power Project units 3 and 4 (TAPP-3&4) were approved and long delivery components ordered In the late 1980s. This resuited in the equipment and components at TAPP-3&4 reaching the site as early as the year 1990. However, subsequently there was a delay in the project due to the financial crunch and reprioritisation by the Government of India. Many of the components arrived at site and had to be stored and preserved for a long time before they would be needed. High resolution imagery is only available from declassified CORONA imagery. As of 28 April 2000 Russian 2-meter resolution KVR-1000 imagery coverage was not available via the SPIN-2 service on TerraServer, nor was archival Space Imaging IKONOS 1-meter imagery available on the CARTERRAT Archive.